Home>uncategorised>Cleaning Products and Tips which can help with Tough Household Cleaning Jobs! Household cleaning jobs doesn’t have to be a bummer but Cleaning and tidying has always been the mainstay of any home throughout the decades. Whether you have a modern apartment or a rambunctious family home, to keep a sense of order and more importantly hygiene, cleaning is critical. So, what we all need to do is to find out the right cleaning products that are available in the market to make this job easy for you. However, where do you find the best cleaning products which help with tough cleaning jobs? Don’t worry; we are here to give you an idea about some of the best cleaning tricks and tips! Cleaning products fill our supermarket shelves; there are super bleaches, bicarb products or ammonia products along with those which are scent free, strong scent, quick clean and spray and wipe. However, what do you pick off the shelf and buy when you need a cleaning product to handle those tough cleaning jobs? Whether it’s a home clean, office clean or industrial clean, there are a few Cleaning Hacks and tips that you can use for a shiny, fresh, gleaming space. When it comes to bathroom cleaning products, it seems that old school is best. Jif, bleach and other standard cleaning products have been used for years because they work and are trusted with many cleaning professionals. Recently, there have been bathroom cleaning hacks such as spraying your shower head to toe with shaving foam for a clean white finish. This is yet to be adequately tested and may be a fad or urban myth, but even if it does work, would you want the sticky residue and strong smell of shaving foam? It’s really best to stick with the basics and quality, highly effective bathroom cleaners. These days, whether personal or commercial, green cleaning is essential and natural substances such as bicarbonate of soda are making a comeback, and they do work, but not on a large scale. If you will ask any organic devotee or green living expert they will tell you that the best Cleaning Products are baking soda, white vinegar and a little lemon thrown in it but if you are not interested in organic Cleaning Hacks and you are looking for real household cleaning hack which work as well as commercial cleaning supplies and products, well, you need to ask your cleaner! You will be surprised to know your cleaner is probably using green cleaning products which cut through dirt and grime easily, without damaging the environment. 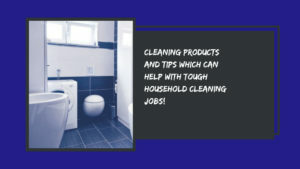 The cleaning supplies and products which your cleaner uses, will be hard working and efficient to use and cheaper to purchase online and in bulk, but What if there was a way to access commercial cleaning products via wholesale and online yourself? Well, this is where the Multi range’s most powerful, yet gentle cleaning chemicals come into play. 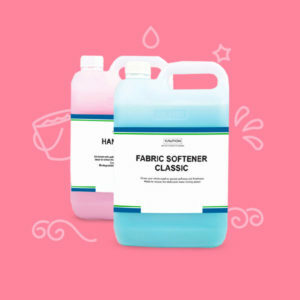 The quality, prices and effectiveness of our Cleaning Products is what makes them a popular choice for Australians whenever it comes to choosing the best cleaning supplies and products. Bring a spotless shine and clean feeling to your home or small business by purchasing products which the professionals use and handle those tough to handle cleaning jobs!